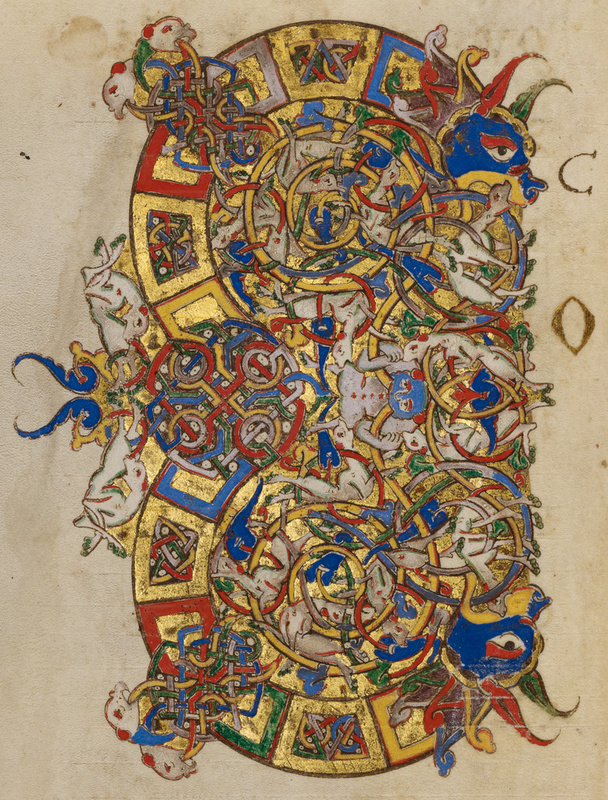 In this breviary from the monastery of Montecassino, the prayer Comitetur nos quesumus d[omi]ne[Look after us, we pray, O Lord] opens with an elaborate letter C that resembles a rounded E or figure eight design. Built from blocks filled with interlace, the letter contains swirling tendrils that threaten to burst its boundaries. In the two centers of the figure eight, fantastic dogs twist and squirm among the vines. On the right side, big blue animal heads with open mouths mark the terminals of the letter. In the center, a monstrous creature with human arms but cleft feet hooks his arms around the curling tendrils. Four dogs lunge forward to bite the creature's shoulders and legs, echoing the action of numerous other twisting and biting dogs throughout the initial. 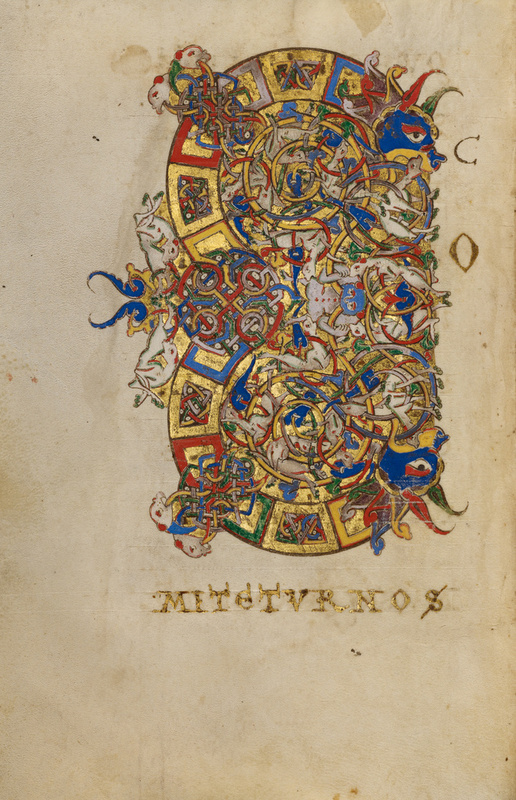 The illuminator wrote the second letter, O, in gold to the right of this exuberant first letter and placed the remaining letters at the bottom of the page. A later scribe added the C in black ink to clarify which letter was intended by the large initial.